The Soil Secrets company is currently involved in new product development with the company that invented the first synthetic oil called Amsoil and their Natural Fertilizer division called Aggrand. 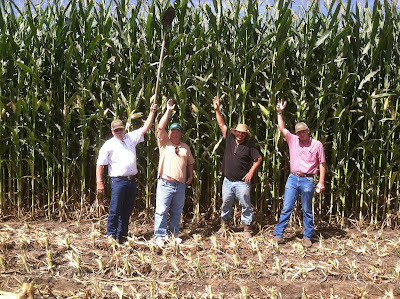 The following corn production project used by Aggrand and Soil Secrets. 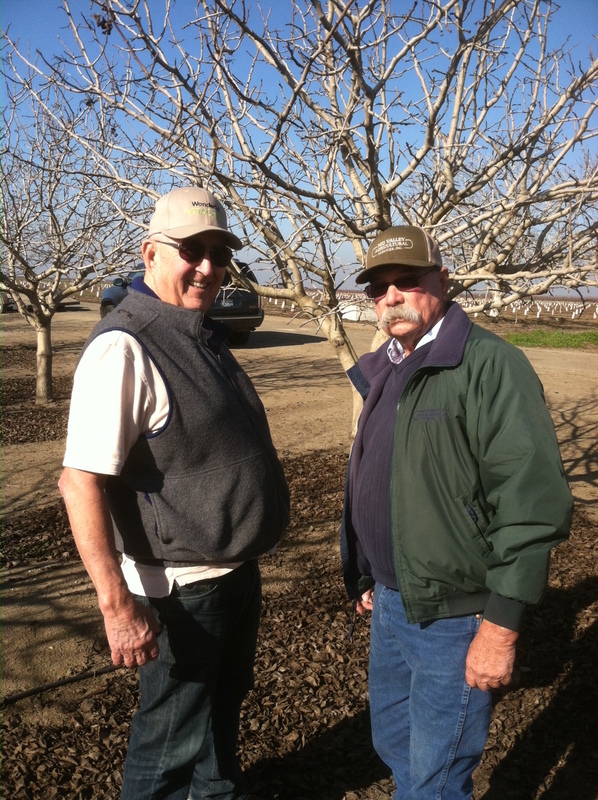 The photo was taken by Bob Geyer, one of our Soil Secrets associates in California. 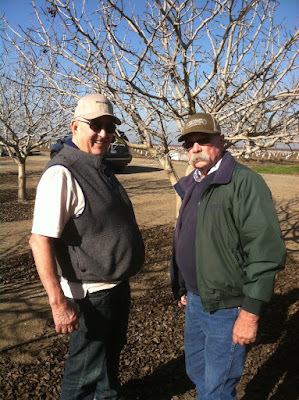 Bob also represents Aggrand in California for agriculture. This field was treated the first year using just the Aggrand protocol and the corn silage yield increased from 24 tons per acre on the sandy areas of the farm and 26 tons per acre on the better soils, jumping to 38 tons per acre. At the end of the first year the corn stood at 15' 1" while the variety used called Bagglietto is suppose to only grow to 12 1/2 feet. The second year the field was treated with TerraPro and the same corn variety was planted using the same Aggrand protocol as the first year. This time the corn grew to 15 feet 5 inches tall. At the time of this blog the silage has not been harvested so the tonnage figures are not known, but Bob calculates it will be several tons greater per acre than the first year. 2. 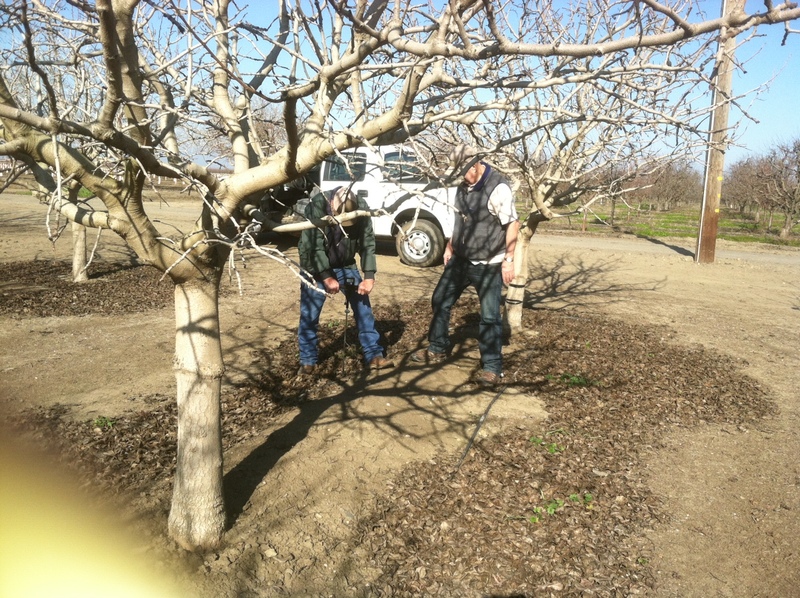 At planting 1 gallon of the 0-0-8 Aggrand kelp and potash liquid was shanked into the soil at the same time as the 4-3-3. 3. 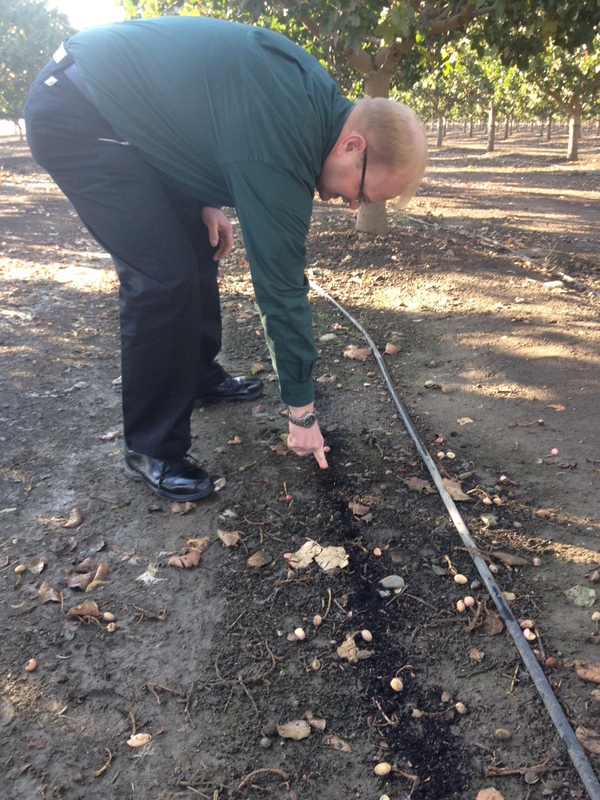 1-ton per acre of Soil Secrets Ag Grade TerraPro was broadcasted across the field. 5. Field was planted at 32,000 plants per field and the extremely light nitrogen load of 60.64 pounds of nitrogen per acre worked extremely well. When fields were planted at 64,000 plants per acre using the same protocol the corn sitll reached the 15 plus foot height, showing that the 60.64 pounds of nitrogen was still enough even with double the number of plants. Here's good news from our West Coast Distributor John Miller of Spec International. He sent me this report with photos yesterday, September 14, 2015. 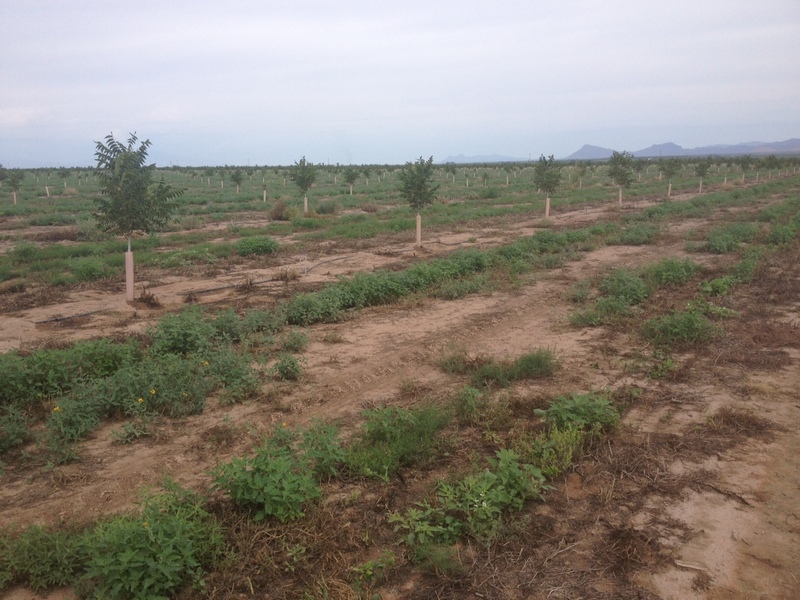 The farm is located near the New Mexico Arizona State line South of Interstate 10 in the Chihuahuan Desert. The trees are irrigated with above ground spray heads with water coming from deep irrigation wells. Soils are typical Southwestern desert dirt with high pH, high salinity and poor structure after its been disturbed. 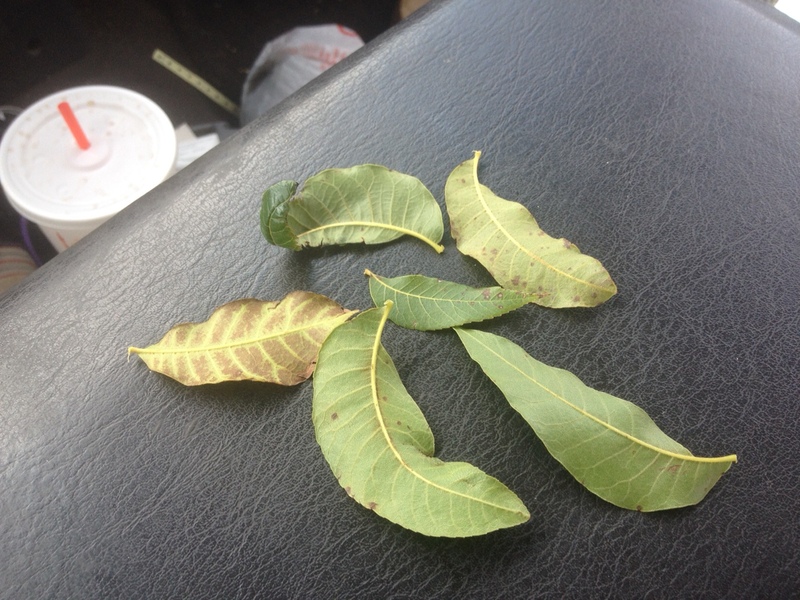 As a result crops including tree crops often show signs of salt burn, iron uptake problems (chlorosis) and zinc uptake problems on pecan trees. 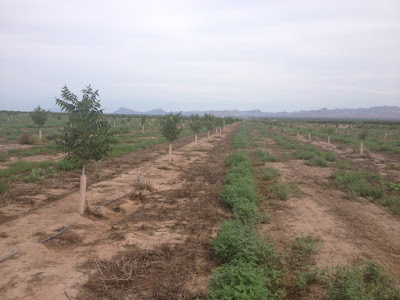 This particular grower is putting in over a thousand acres of new trees each year with some of the acreage treated with our TerraPro and Protein Crumblies products. I'm glad he's left some acreage untreated as it gives us the opportunity to compare. They are also being supplemented nutritionally with a foliar feed using an AgGrand 4-3-3 product which Soil Secrets collaborates with as both company's are very complementary to each other. 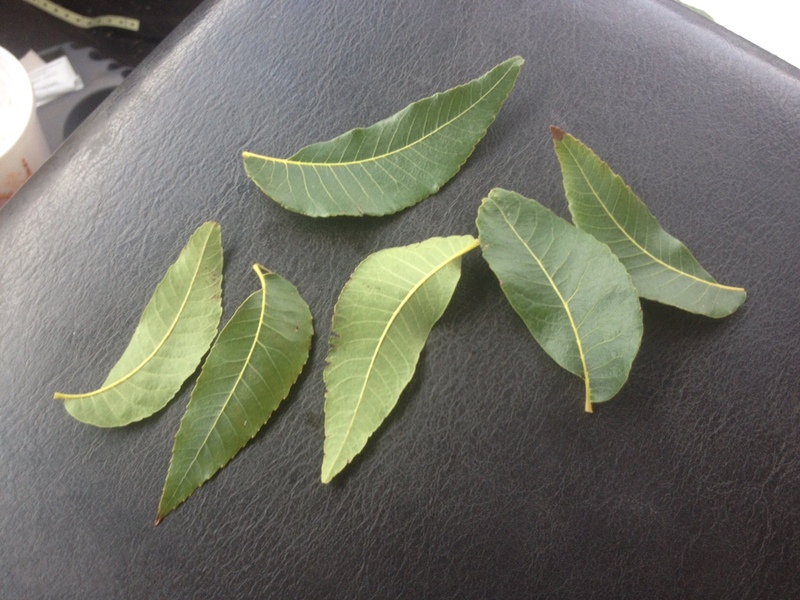 Here are some photos showing treated versus non treated, so you can draw your own conclusion. Trees on the left have been treated while those on the right have not. Looking into the treated field, showing vigorous growth on trees treated May of 2015 with TerraPro, Soil Secrets Bio-Identical Supramolecular Humic Molecule product. 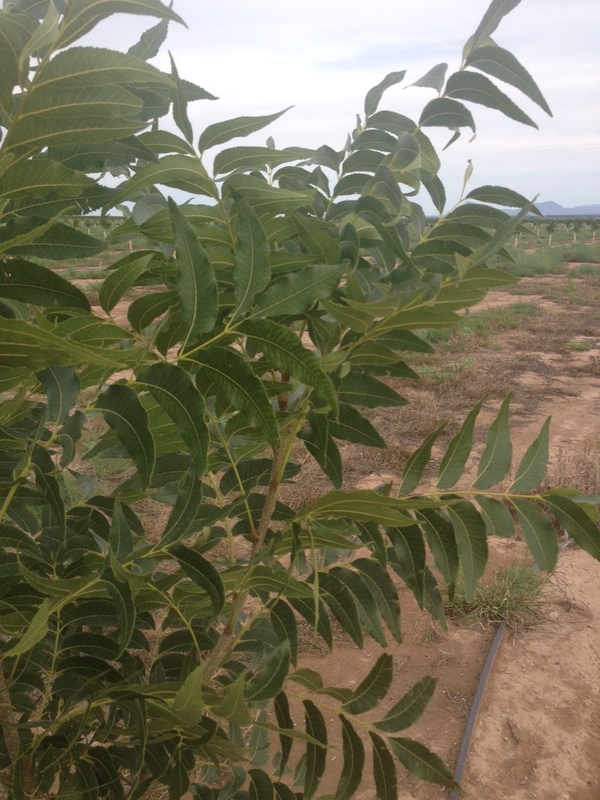 Typical new growth with vigorous foliage of a TerraPro treated Pecan. 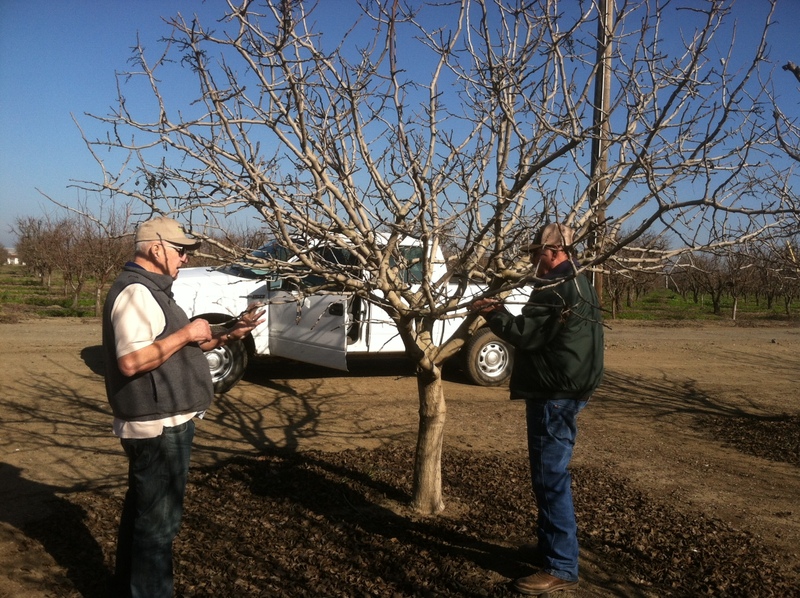 Trees were treated 4 months earlier at the beginning of the growing season. The changes seen on this pecan orchard are consistent with our results seen in California Almond and Pistachio tree orchards where TerraPro's aromatic chemistry corrected the health of the soil, opened up the structure making the soil more porous to oxygen and water, which improves the availability of water and nutrients, while decreasing the damage caused by salinity. We've done compaction measurements that quantifies these changes showing the compaction of the soil droping form a psi of 300 down to 50 - 75 psi down to a depth of 3 feet. If our penetrometer can probe the soil to a depth of 3 feet with only 50 to 75 pounds of pressure than water and oxygen can easily get into the soil, which changes everything and puts that soil on the journey to better soil health. Getting the irrigation water to penetrate deeper will help to reduce your irrigation frequency needs and improve the crops ability to get mineral nutrition up into the plant. In addition to needing less irrigation water, healthy soils also need less fertilizer inputs and in this case the farmer can skip the typical sulfuric acid treatment that's commonly used in Arizona and New Mexico's pecan industry in the attempt to open up the soil and remediate the harmful effects of salt. TerraPro can do this much more effectively while also improving the health of the soils terrestrial biosphere. 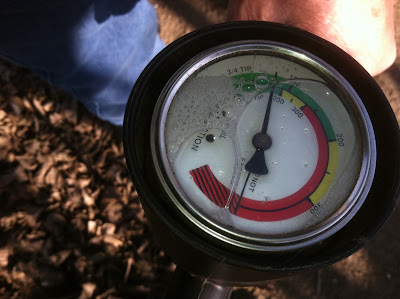 The results of the testing discovered that the soil compaction had dropped a bunch, from an average of 300 psi coming down to an average of 75 psi. This is significant because there's a direct cause and effect where water and oxygen can now penetrate the soil when its psi has been reduced. The reason, the drop in psi is demonstrating an increase in soil porosity, which also causes an increase in air space in the soil. This is the single most important thing that can happen to the soil as its health improves! So what's the good news? 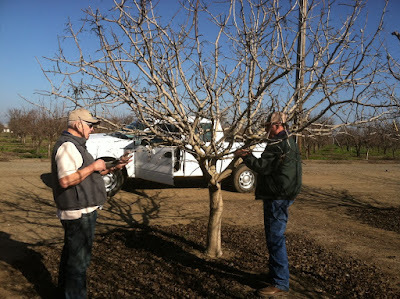 The crop has been harvested and evaluated and the grower was able to collect an average of 600 more pounds of nuts per acre above and beyond the control fields. At a price of $4 per pound that means the grower made an additional $2400 net profit per acre caused by our TerraPro product improving the soil porosity. In addition the % of blanks was under 5%, compared to 20% being normal in California this season. What Tools In The Tool Box Do We Have To Build a Healthy Top Soil? I was returning from Las Cruces recently and along Interstate 25 I saw huge piles of compost being deposited by the landscape contractor, which reminded me to write this article. With each year we learn something new and improve upon the old techniques and products we've offered. In some ways you may find this frustrating because it may require us to stop making some products as they grow obsolete by newer ideas and better products that we can support our claims with good science. Soil Secrets taps into the National Labs asking for "Deliverables" that will help support our ongoing R & D and help us provide products with the best efficacy possible. For example, in the arena of Humic Acids, a substance sold by many companies, but previously without the molecular description to substantiate what the potential Mechanisms of Action could be based on the geometry of the molecules, the thermal energy value of the molecules, and the resulting functionality of the molecules. The industry couldn't even tell us how many molecular species there are. Today Soil Secrets owns that information, as we've done the only molecular descriptive evidence ever done on Humic Acids, and for that reason I prefer to call them Humic molecules and not Humic Acids which we can produce as "Bio-Identical" to those found in Nature's best soil. We've have also done DNA extraction and gene sequencing on our soil microbial inoculants to make sure we are doing things right with the right soil creatures. We pay ISO Certified labs to test and measure our Protein in the product we call Protein Crumblies, making sure it has the amino acid profile we want, so we are certain it's a good quality soil microbe food. We now have a firm understanding of the value of certain soil amendment products and how to use them in a more appropriate way. For example, I can recall a Landscape Architect in Albuquerque saying that Oak trees need a well manured soil. If manure was not available, the architects specified huge amounts of organic matter called "Soil Builder" to be amended into the soil. Know we now know that manure can contraindicate soil and plant health because it contains salinity that the soil does not need. Beyond the potential salinity problem, adding manure or even incorporating too much good quality compost to the soil can cause the soil to spoil by making it go anaerobic (without oxygen) because the higher the level of decomposable organic matter we incorporate into a soil the more oxygen the microbes need to decompose those organics. This is called increasing the Biological Oxygen Demand, which is not good for the soil as it creates toxic substances such as alcohol and lactic acid. Plants hate that stuff! We must understand what the tool in the tool box is for and in the case of compost, that tool is to add a fertilizer value of minerals, not to try and build a top soil. Adding compost as a light top dressing is a way to re-mineralize those elements that are being used up by the vegetation. So its a fertilizer not a soil builder! How much is enough? If its a good quality compost made from mineral rich organic matter, you many only need about 30 - 35 pounds per every 1000 square feet, and on a larger scale not more than 1500 pounds per acre. As you can see that's a tiny amount of product! It's a common mistake to see mountains of compost dumped on a site in the attempt to build up the organic matter of a soil, buts that's the wrong thing to do. Soil Secrets is Bio-Mimicry, copying the Natural Process. Building a top soil is the process of Soil Carbon Sequestration, and that is done by the association of photosynthesis, production of liquid carbon (sugar) and roots of plants articulating with soil microbes including the mycorrhizal fungi, where the plant roots provide the liquid carbon as a source of energy needed by the microbes. So if the site lacks plants, such as a new construction zone, or a farm field plowed and left empty, there's no photosynthesis, no roots, no liquid carbon, therefore limited soil microbes and zero Carbon Sequestering taking place. In the business of health food and nutriceuticals, we've figured out that by eating organic whole yogurt we can inoculate our bodies with beneficial microbes. There are even higher dose Pro-Biotics you can buy that provide billions of living cells of bacteria, known to be good for us. Now we know that the same can be done for soils, where we can commercially produce bacteria and fungi that are synergistic with one another and also beneficial for plants. The fungi are called Mycorrhizal products, which are measured by the species and the spore count per gram or per pound. The bacteria are also measured by species and by CFU (Colony Forming Units). For a mycorrhizal product Soil Secrets offers MycoMaxima, a blend of many species able to help a wide array of plants from pine trees, oak trees and turf, or EndoMaxima, the industries highest spore count product useful for annual crops and most landscape plants. 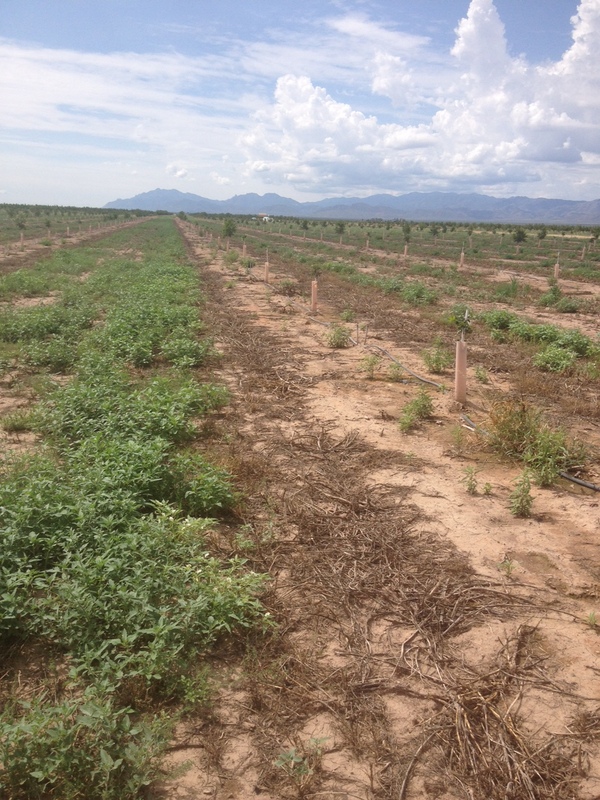 For mine reclamation and highway re-vegetation, EndoMaxima is the best mycorrhizal product to use as it has the Glomus (syn. Rhizophagus) species needed to inoculate all the plants used under those conditions. However Mycorrhizal fungi don't work alone, and the soil's ecology is much more complex than that, so Soil Secrets is now releasing a Soil Pro-Biotic BioPack, which is a consortium of microbes designed to help turn dirt into soil. For the time being BioPack is available in a size for agriculture and for landscape construction, coming in a 50 gram pack which covers one acre. The price is about $25 to $28 per pack depending on where you buy it. To see the label and species names with CFU data, download the attachment. It's 100% Certified USDA BioBased. In other words, the 50 gram packet is 100% microbes. Here's a summary of the flagship Soil Secrets products used jump start and support a healthy soil ecology, ether in real soil, or in manufactured substrate (potting mix). --TerraPro - Formerly known as Earth Magic. The active ingredient is a full blend of the Humic molecules that are Bio-Identical and which are fully Supramolecular. Humic molecules when Supramolecular can correct soil structure, improve the aerobic environment of the soil helping with microbial respiration, have a solutioning effect on the minerals in the soil making them more available, has a chelation overlay effect helping to hold the minerals so they don't leach away, improve the soils ability to manage the water, and a more livable habitat for plant roots and soil microbes. --EndoMaxima or MycoMaxima provides the correct mycorrhizal f spores that can benefit the majority of plants. EndoMaxima contains the Glomus generalist fungus that associates with the majority of plants on Earth, while MycoMaxima contains both the Glomus and a blend of Ecto type fungus that are specialists with hardwoods such as Oaks, Pecan, Pines and other trees. MycoMaxima is also sold under the retail name White Lightning. --Soil Pro-Biotic Bio Pack, fortifies the soil with bacteria and other beneficial soil microbes. --Protein Crumblies provides the building blocks of life known as Amino Acids. We use this product to feed the soil microbes a nutritional calorie of protein, helping to support better soil health. --TTP Supreme Compost, provides mineral elements for re-mineralizing the soil if its low in minerals.